Uniformly dark in color with brown eyes. Body is heavily armored from head to tail with bony, plated scales. 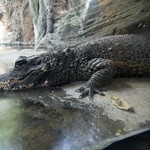 They can reach a length of 5.5 feet and weigh 70 pounds. 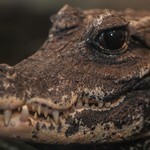 The dwarf crocodile is listed as vulnerable by the International Union for Conservation of Nature. 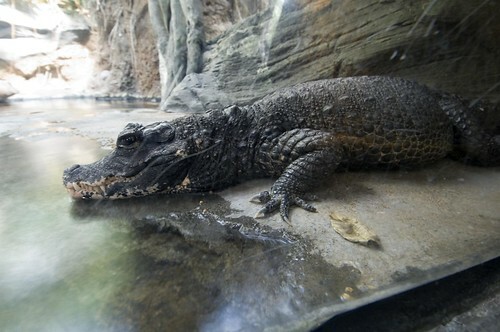 It is still exploited for its hide, eggs, meat and as a pet. Tropical forest zones, preferring slow-moving water while avoiding major waterways. 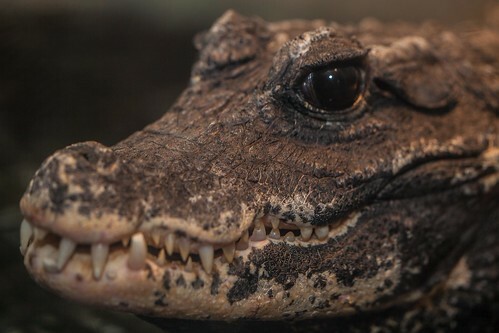 Aquatic and nocturnal, feeding on crabs, frogs, fish and, occasionally, small mammals that wander into the water or are captured by the riverbed. 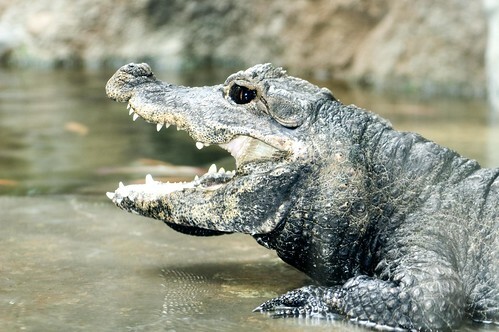 Dwarf crocodiles lay about 20 eggs at a time in nest mounds made of vegetation. Incubation is 87–126 days, depending on atmospheric temperature. 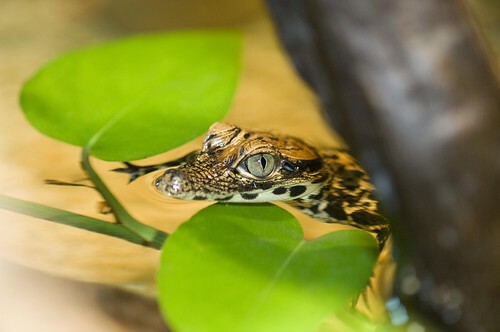 Timid by nature, dwarf crocodiles are slow moving and do not like to bask as other crocodiles do. 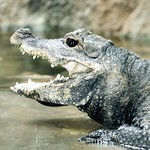 Eyes placed high on the head enable the crocodile to see above the water line while keeping its body submerged. 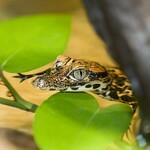 Special transparent membranes protect the animal's eyes during struggles with prey.